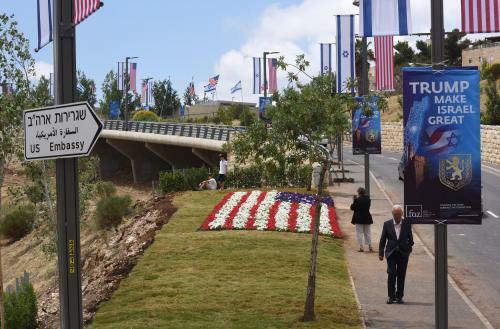 The ambassadors of the Czech Republic, Romania, Austria, and Hungary will attend the opening of the US Embassy in Jerusalem Monday, breaking with the official policy of the European Union. The EU still refuses to acknowledge the US move and regards the area where the embassy is located as East Jerusalem. In a statement, the EU said it was waiting for final status negotiations to acknowledge any Israel control over Unified Jerusalem. Michael Oren, deputy minister for diplomacy said in a Twee that the EU should be “ashamed” of itself. Thank you Czech Republic, Romania, and Hungary for blocking EU’s censure of U.S. for moving its embassy to Jerusalem—the spiritual focus of the Jewish people for 3,000 years, the capital of the region’s only democracy for 70. These 3 nations should be proud and the EU ashamed.